Ctra. Del Poblado De Iberdrola s/n, 10980 Alcantara, Spanje. 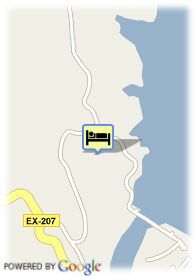 Hotel Hosp. Conventual De Alcantara discover the charm of being accommodated in a 15th century convent, transformed into a modern hotel. We also provide a big restaurant, cafeteria/terrace, and an unbelievable outdoor swimming pool. Entering the hotel you will feel yourselves transported into the 15th century, moment when the convent was built and arranged by the Franciscan brothers. In 1846 has turned into a flour mill and nowadays it preserves a museum dedicated to the mill. The cared conversion has preserved the spiritual atmosphere of the convent, to which the comfort of the modern life has been added. 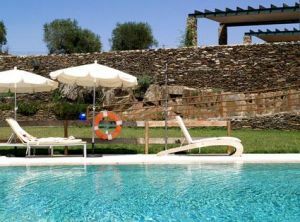 The old vegetable garden has transformed into a nice open space where the hotel's clients can read a book surrounded by olive trees or take a bath in the swimming pool. The hotel also has restaurant, cafeteria con terrace, reunion rooms, acting rooms and parking. Lcántara is placed in the Eastern part of Caceres, at just 11 km from the border to Portugal, having 2 impressive historic monuments: a Roman bridge and the San Benito Convent.